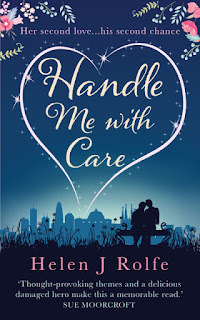 Today, I have the fantastic Helen J. Rolfe on Dreaming With Open Eyes talking to me about her latest release Handle Me with Care. 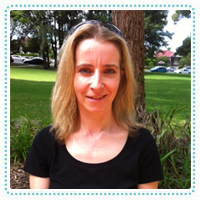 Helen, I'd just like to say a huge thank you for agreeing to appear on Dreaming With Open Eyes, it is an absolute pleasure to have you here. Hi Helen, a warm welcome Dreaming with Open Eyes! Thank you for participating in this interview, would you like to start by introducing yourself…? Hi, it’s lovely to be here, and thank you for inviting me on as a guest :-) Like many people I had a whole different career before I started writing. I studied business at University and went on to become an I.T. specialist. I soon realised that it wasn’t the job for me and studied journalism and writing which lead me to freelance journalism, a position as an media assistant and finally to writing fiction. I wrote my first book in 2011 but it’s very much a ‘bottom drawer’ book as they say … my practice before the real thing if you like! I returned to the UK at the end of last year after 14 years in Australia. My debut novel, The Friendship Tree, is set in New South Wales and Sydney, and Handle Me with Care is set in Melbourne. They are two beautiful, amazing cities and inspirational for fiction writing. Handle Me with Care was released on 30th of June, 2015. Can you tell us a bit more about it? It’s a novel about taking a chance when the going gets tough and fighting for your own Happy Ever After. Handle Me with Care follows the story of Evan and Maddie, both of whom have their challenges to deal with. It was so much fun to write and I loved the main characters in the book too. 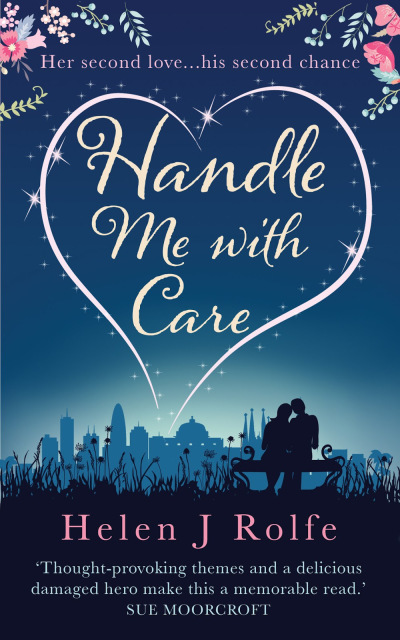 Now that Handle Me with Care is out in the world with readers, how are you feeling? It’s exciting but scary at the same time. Hearing how much people love a book and identify with the characters is the best prize for an author. What was the inspiration behind this book? Are these experiences based on someone you know, or events in your own life? I wanted to give my characters strong challenges that any of us could face daily, and probably do. I wanted them to have to fight for what they wanted. I wanted readers to empathise with my characters and see them triumph over adversity. What was the hardest part of writing Handle Me with Care? I tend to write on the long side so end up with far more words than I actually need. There’s a lot of repetition in there after my first draft so that’s the first to go. The hardest part is removing scenes that I may love but that I admit don’t add anything to the storyline. I save them in a little document called ‘scrap’ in case I want to use them again. I’m not sure I ever will though! Which character was your favourite to create? I loved creating Jem, Evan’s grandmother. She’s 100 years old but so spritely and a lot of fun. She has a DS that Evan bought her for her birthday and she’s very cheeky! Jem and Evan have a beautiful, close relationship. How did you feel when you first set eyes on your gorgeous cover? The cover designer did such an amazing job. I had so many lovely images to choose from and we took the best bits to come up with the final version. I still love it and every time I look at it I still want to pinch myself that it’s mine! What was your playlist whilst writing Handle Me with Care? I didn’t have a specific playlist but I did enjoy a bit of Passenger and some Megan Washington. You have lived in Australia for fourteen years. How is living in Down Under different to living in the UK? I hate to say the obvious thing, but the weather! I do miss the scorching heat of summer Down Under but then when the sun shines in the UK it’s pretty spectacular. Have you always been an ambitious writer? When did it all begin? Was there anything in particular that sparked the flame within you? I’ve always loved writing and when I was at school my teacher told me never to give up on my dream. I got a little sidetracked with my job in I.T. but I got there in the end! When I was starting out writing fiction I remember walking into a bookshop unsure of whether writing books was what I really wanted. There on the shelf was the debut novel by Helen Warner. Warner was my maiden name and seeing that book there, I just knew it was what I wanted to do. I’ve heard many different approaches to planning a novel. From post-it notes to scribbles in notebooks. How do you plan? I’m in the planning stage right now for book 4! The house will be empty tomorrow and I’m going to use the big dining room table and get my plan pretty much done. I start off with a small idea and make notes for weeks...months even. Then when it’s time to plot I read through all those notes and I research all the different aspects I’ll need. With Handle Me with Care I interviewed a testicular cancer specialist and that kind of research really gets me into the minds of my characters before I plan everything. I use an enormous piece of paper, a pencil and a rubber, and then I plan it all out. It’s quite an exciting phase! What's your favourite writing accompaniment? Chocolate? Cake? A nice cup of tea? Lastly, when can readers expect to see your next book? Are you working on anything at the moment? Book three – I’m not 100% sure of the title yet – is with my editor at the moment. Set in Magnolia Creek, a fictitious town in the beautiful Dandenong Ranges of Victoria, Australia, it tells the story of Rosie who house sits and discovers a family secret. Her love life gets complicated when fireman, Owen Harrison ends up staying at the house too as he looks for answers. My English teacher at school told me to never give up on my dream of becoming a writer. Somehow I ended up with a business degree and a job as a computer programmer, but I never forgot her wise words and encouragement. In August 2000 I answered my call to adventure and headed to Australia where I ended up living for fourteen years. I made my home in Melbourne for just over nine of those years and in 2003 I left the I.T. industry and began my writing career as a freelancer. Great interview with a lovely lady about a fantastic novel! AMAZING interview! Removing your favourite scenes is probably the hardest thing! Thanks for the interview!